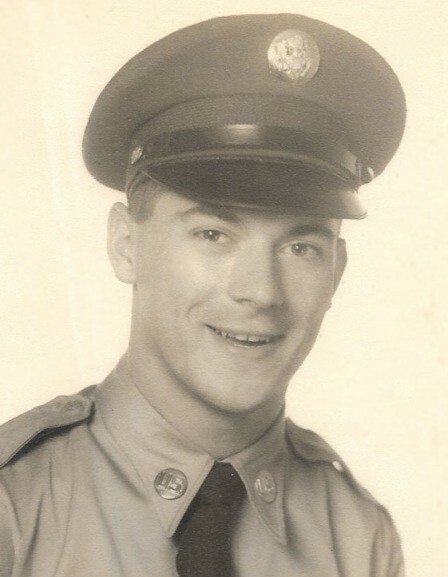 Memorial services for Dan Wesley Davidson, 83, of Rocky Hill, will be held Tuesday, April 2, 2019 at 3:00 p.m. at Shafer Funeral Home in Lufkin. A Celebration of Life will follow at the home of Tony and Amy Davidson. (10592 Hwy 103 E., Huntington, TX 75949). Mr. Davidson was born February 15, 1936, in the Little Flock Community of Angelina County, Texas, the son of the late Jake Womack Davidson and Willie Murl (Sims) Davidson, and died Monday, March 25, 2019 at his residence. Mr. Davidson served in the United States Army Signal Core from 1958 to 1964. He was an amateur radio and electronic operator. Mr. Davidson was also a member of the Pineywoods Playboys Band. He enjoyed family genealogy, military history, and Angelina County history. Mr. Davidson had a great passion for his family history and was one of the last links to stories of the past. He is survived by his wife, Inge Davidson of Rocky Hill; daughter, Danita Davidson of Humble; son and daughter-in-law, Tony and Amy Davidson of Rocky Hill; grandson and wife, Travis and Cristina Davidson of Rocky Hill; grandson, Devon Davidson of Rocky Hill; cousin, Floyd Petri of Chester; special friends, Don and Betty Hall, Allen Sr. and Margaret Loggins, Tom Pilkington, and E.W. Ellington; along with numerous nieces, nephews, and other relatives. Mr. Davidson was preceded in death by his parents; and numerous aunts, uncles, and cousins. Honorary pallbearers will be Richard Thomas, James Thomas, Bubba Loggins, Allen Loggins Sr., Don Hall, E.W. Ellington, and Terry and Jerry Miller.